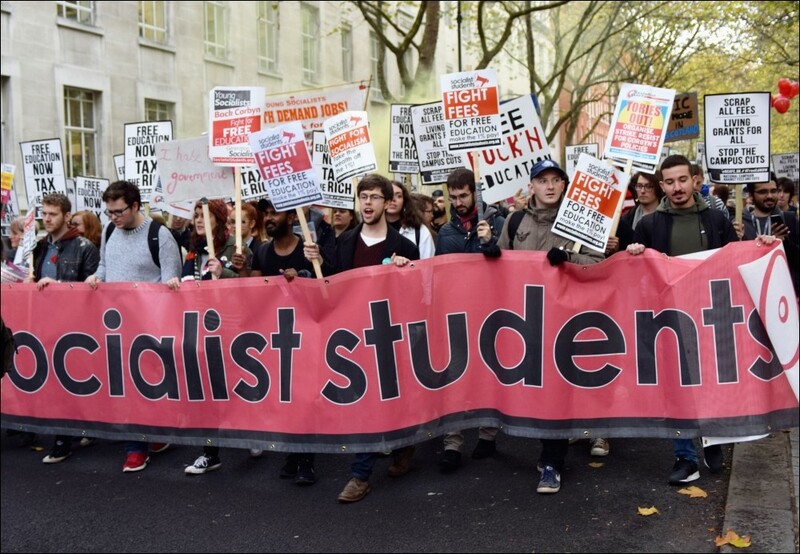 The National Union of Students (NUS) is on the brink of bankruptcy. The responsibility for this catastrophic situation clearly lies with years of successive right-wing NUS leaderships - which have pushed through undemocratic reforms, concentrating power in the hands of unaccountable and inept leaders. Instead of leading student struggles, they have used the NUS as a springboard into political careers in pro-big business parties. They have failed to fight for student interests - including when fees were introduced in 1997 by Blair's Labour government, and again when fees were trebled in 2010 by the Tory-Lib Dem Coalition. 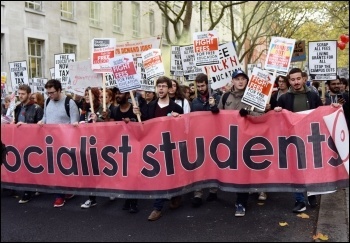 More recently, they failed to mobilise the massive student support for Corbyn's 2017 election manifesto (which included the pledge to abolish tuition fees) into a movement against a crisis-ridden Tory government. Governance reviews, pushed through undemocratically by the NUS bureaucracy, deliberately sidelined the active involvement of its million-strong membership and converted NUS into little more than a charity or think tank that lobbies politicians. At last year's April NUS conference it was an unaccountable board of trustees which presented a misleading report stating it had 'no concerns' about the financial state of NUS! In response to the financial crisis, the Turnaround Board produced a consultative 'White Paper' on how to reform the NUS. But how was this so-called 'consultation' undertaken? The leadership of the NUS allowed student unions to submit their official responses without any involvement or democratic discussion whatsoever with students themselves - just responses from student union presidents or CEOs! The results of this sham con-sultation are laid bare in the reform motion presented to this year's conference, as well as a new set of articles and rules for the NUS. It's impossible here to deal with every proposal. But what's clear is that the last vestiges of control by ordinary students over NUS's political direction are to be removed. That's why Socialist Students rejects all proposals put forward by the current leadership, including the cut in funding to liberation campaigns and current full-time officers. However, the NUS financial crisis is real. That's why we call for the opening of the NUS books to the democratic oversight of students and elected NUS officials and hence, potential solutions to the crisis. A crucial step towards this would be the organisation of general emergency meetings on campuses. From these could come an extraordinary national conference to discuss the way out of this crisis. We fight for a refounded NUS as a democratic, accountable organisation that puts centre stage free education and student grants, affordable student housing, the fight against cuts and marketisation, and the struggle to kick out the Tories. If the NUS 'reforms' do go through then it's very doubtful that the NUS will be an organisation which can lead on these issues. 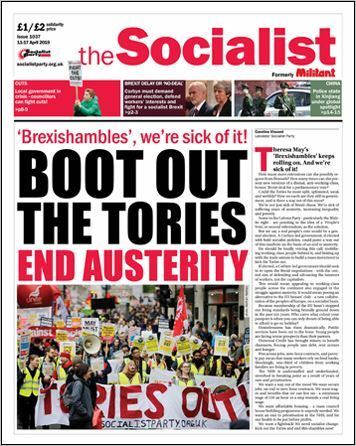 Socialist Students stands for a student movement which links up with workers in the fight for a society based on peoples' needs, not the profits of big business - a socialist society.